Not just a pocket-sized hipster haven buzzing with design, technology, and rabid seagulls; Helsinki is that rare breed of capital city suited to both land-lubbers and sea-farers, what with the 330 islands that make up its archipelago. Helsinki is a city of quays, piers, and Marimekko-striped tops. It's a city where ferries are considered public transport; where a casual day out involved hopping on your yacht, boat, pet dolphin (threw that one in there to see if you were paying attention) to a nearby island for a spot of sight-seeing, history, and ice-cream - not necessarily in that order. Fancy a stroll through a UNESCO-heritage fortress city? Hop on the ferry to Suomenlinna Island. Need to fill up your tanks (boat and stomach)? Nip over to Skiffer Island and refuel, both at the floating gas stations and at Skiffer Restaurant. Need to let the kids off leash without worrying they'll somehow escape across the border and spark off an Interpol search-and-capture? Take them to Helsinki Zoo at Korkeasaari - unless they're mermaids, they're not getting off the island without you. No foodie can leave Helsinki without experiencing what makes Helsinki's restaurant culture so unique - idyllic island restaurants brimming with archipelago treats including crayfish in summer is as integral to the city's soul as the iconic Marimekko red poppies. Walk down to Merisatamanrata pier, catch a ferry to tiny Skiffer Island (or swim there - it'll probably be quicker than waiting for a boat) and pull up to the outdoor bar of Skiffer restaurant. Keep an eye on your surf n' turf pizza (crayfish and pepperoni) - the seagulls have their beady little eyes on you. Suomenlinna has a history that spans the Swedish era (1748-1808), Russian era (1808-1918), and finally, the era of independent Finland. 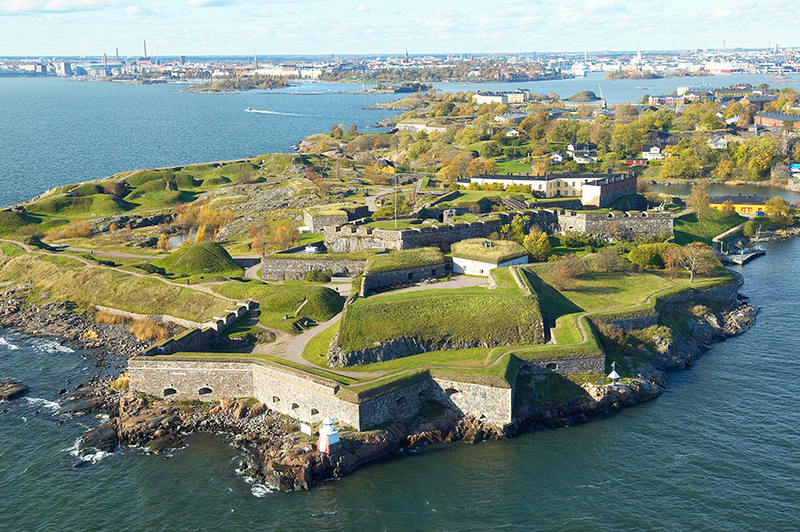 The fortress island began life as a Swedish fortification on the Susiluodot islands named Sveaborg (Viapari in Finnish) and celebrated its liberation from the Russians by changing its name to reflect the newly founded Finnish government to Suomenlinna - 'sea castle'. These days, Suomenlinna is loving cared for by the Governing Body of Suomenlinna and the island's residents who have the great privilege of residing in a living, UNESCO-heritage museum. Have a Helsinki card? Use your public transport privileges and take any of the (free!) ferries from the Market Square, and spend a day at Suomenlinna walking the blue route, visiting its six museums, strolling along the fortress's walls and tunnels, and counting cannons (all 100 of them). Another Helsinki-must see that's covered by the blessed Helsinki Card (take the ferry to Korkeassari Island from the very same market square as the ferries to Suomenlinna). 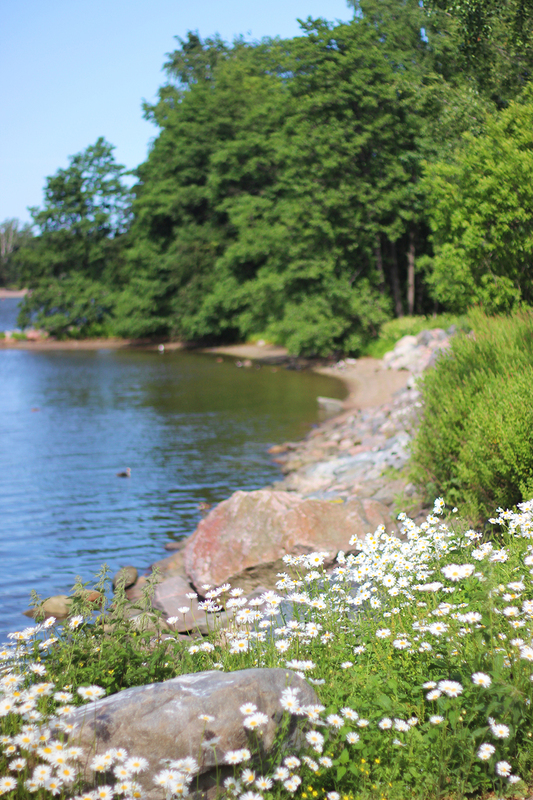 Henry and I spend a very pleasant day getting lost on Korkeasaari Island, weaving in and out of scenes straight out of watercolour paintings, encountering families of wild geese and Helsinki Zoo's many animals (tigers, bears, and rabbits oh my!). At the risk of sounding like a very basic bee-hatch, the tiny-animals turned me into a squealing pile of mush: - Dwarf mongoose - EEEEK! Bleeding heart bird, hopping along your feet in the tropical walk-in enclosure - SQUEEEE!! Pygmy marmoset- IT'S SO FLUFFEH I'M GONNA DIE!!! I want a dwarf mongoose now! Funnily enough, my dad wants to buy a mongoose for our Malaysian house. "We have cobras in the garden - they're becoming a real problem." Me, sarcastically: "Dad, just buy a mongoose." *gives it a think, and says in all seriousness* "Take my black Amex *here*, go down to the zoo and buy a pair." Done and done. SO. MUCH. PRETTY. I want to move there. Now. The dwarf mongoose! Oh my gosh! Whoaaa, I had no idea that this little slice of nature existed. Hipster Helsinki (hipsinki?) has everything! Oh. My....I just NEED a mini mongoose. End of! Oh my goodness! It looks soooo beautiful! The mongoose are too cute! !